All of my issues with Prometheus (2012), the predecessor to Alien:Covenant, were present this time around. However if you liked Prometheus, I imagine you will enjoy this one. I really went into the film hoping to like it, so much that I’ve been wearing the promotional T-shirt in anticipation and all I got from Ridley Scott’s latest take on the Alien universe is this lousy shirt (It’s actually the best thing about the release). However, I did find Alien:Covenant to be gorgeously shot, but the bland script and frenzied plot just made the whole experience disjointed with many unanswered questions. Covenant is a colony spaceship making its way to Origae-6 with a 7 year journey. Its passengers are crew members and colony civilians that are in hyper-sleep when we catch up to them. When a nearby energy wave damages the ship, the crew is taken out of their deep slumber by their android, Walter (Michael Fassbender) to help make repairs. Captain Oram (played by Billy Crudup) is tasked with taking over as captain when the previous captain perished in an explosion (James Franco: uncredited and literally phoned it in with one very short scene). Somehow, the crew encounter a broadcast on a nearby planet that resembles the earth’s atmosphere and was somehow missed in the search for a habitable planet. Against the wishes of his second command, Daniels (Katherine Waterston), who thinks it is too good to be true, they steer the course away from their mission to this planet. Once the small landing party makes its way to the planet’s surface, we quickly find out they aren’t alone and that the distress signal is coming from Elizabeth Shaw’s Prometheus expedition. Tying in the events that followed Prometheus, David (also Michael Fassbender) has been marooned on the planet for a decade. 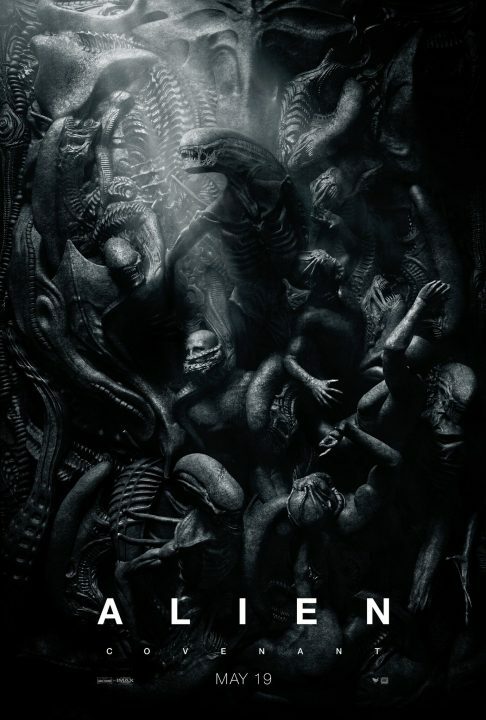 The actors did the best they could with what they were given, but there were way too many players and I couldn’t care less when one of them got devoured by a Xenomorph because the minimal screen time coupled with a lack of development or originality breeds disinterest. Even Danny McBride as Tennessee, the somewhat serious risky pilot, was of little interest as we’ve seen the space cowboy stereotype before. I do however appreciate Ridley Scott’s continual tendency to cast strong female leads and Katherine Waterston did a nice job. This film didn’t have to be Alien (1979) or Aliens (1986). Ridley Scott definitely wasn’t going for that in this follow-up to Prometheus, but I wanted something more than the pseudo philosophical notes about finding purpose as man or an android that are barely tucked into the folds of the scatterbrained script. This doesn’t make for a good film in my opinion. Make me care about someone at least. The most human character in the film is probably Michael Fassbender’s android(s), but that also might just be his ability to barely raise an eyebrow to act. Although, there is a very creepy Fassbender to Fassbender scene, which won’t turn anybody on at all. In the immortal words of Bill Paxton in Aliens, “Game over man, game over”. Ridley Scott, you had more than one chance to breathe life back into these Xenomorphs, but you should just let it die in space, where no one can hear it scream.